What is the First VR Experience with the Samsung Gear VR Like? Two years ago at CES 2015, I had the opportunity to get the Samsung Gear VR experience right before the developer edition launched. At the time, Samsung teamed up with Marvel to present a look into The Avengers: Age of Ultron movie that was coming out later in the spring. The experience was wild – not only did I get to see it myself but also got a chance to watch how others interacted with virtual reality for the first time. Now, I have my own Samsung Gear VR. Here’s more about my first experience with VR at home and what I expect will come from VR, AR and the future of the technology in the coming years. Why the Samsung Gear VR? Well, honestly, it came for free with my Samsung Galaxy S7 pre-order from Verizon Wireless. 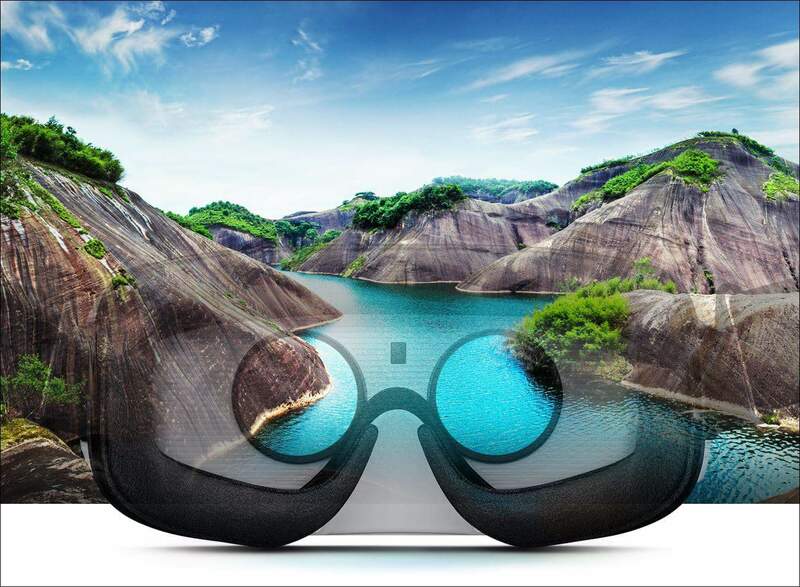 I had been wanting to get a VR headset for a while now and talked to several vendors at CES 2016 about them. I just couldn’t settle on one that worked with how bad my vision is and my need to wear glasses versus contacts. 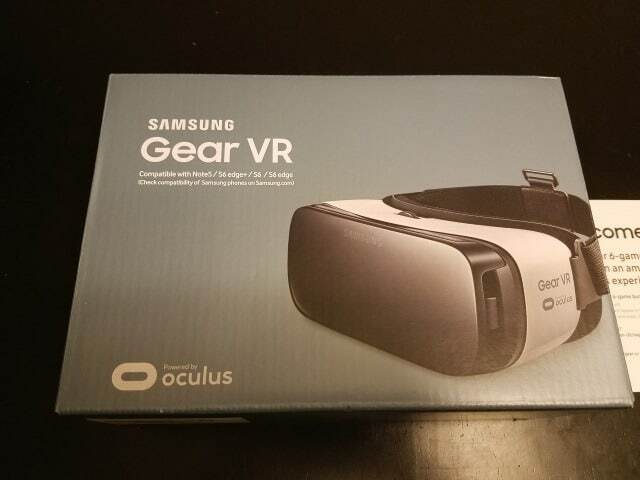 The Gear VR, when I first had the opportunity to use it, seemed great and I decided to get it. 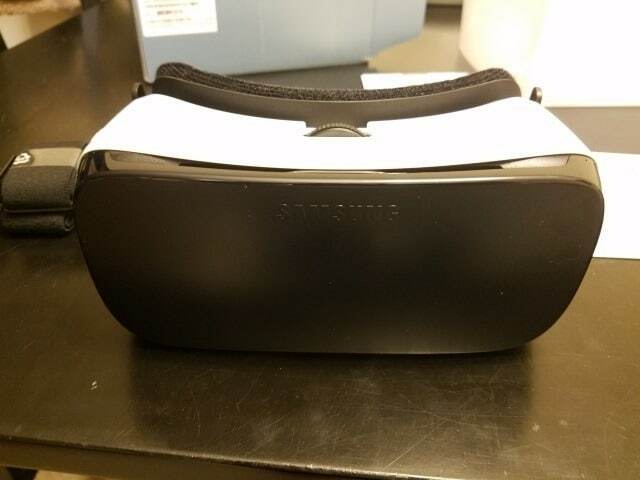 When I received my Gear VR, I was impressed by the minimalistic packaging. After all, it’s just a VR headset, so there’s not a lot that comes with it. Other than the headset, cover, and straps, you get a basic instruction manual and that’s it. Your phone does all the heavy lifting, so that’s the only other piece you need to get the most out of VR with the headset. Your phone does all the heavy lifting, so that’s the only other piece you need to get the most out of VR with the headset. Adjusting the Samsung Gear VR to fit on your head and allow you to properly adjust the view can be difficult at first. You want to make sure the headset itself is comfortable, not falling forward, and fits snugly against your face. If you wear glasses, I recommend taking them off and using the headset without them if at all possible. For me, that’s not possible because of how bad my vision is, but luckily, the Gear VR is the only headset I’ve tried on at CES the last two years that I can wear without bumping my lenses and adjust it properly to see clearly. If you wear glasses, I recommend taking them off and using the headset without them if at all possible. For me, that’s not possible because of how bad my vision is, but luckily, the Gear VR is the only headset I’ve tried on at CES the last two years that I can wear without bumping my lenses and adjust it properly to see clearly. 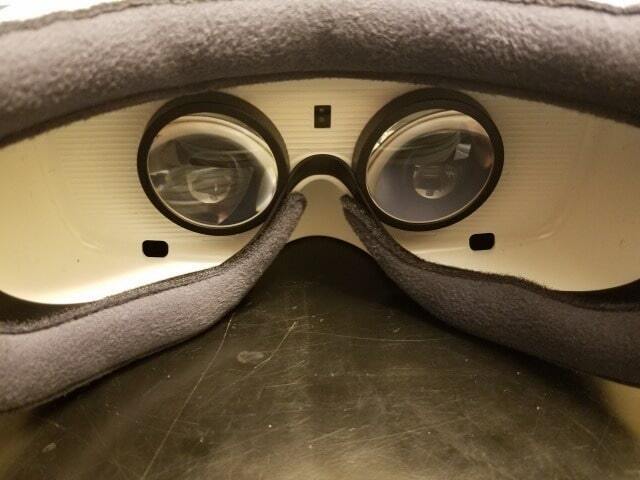 When you first put on the Gear VR and use Oculus with it, you’ll be able to adjust the lenses to see clearly. This can be tricky. I recommend cleaning the Gear VR lenses and your phone screen before using the VR headset. Any obstructions on the lenses or your phone screen can distort the clarity and make it harder to adjust the lenses properly to see clearly. 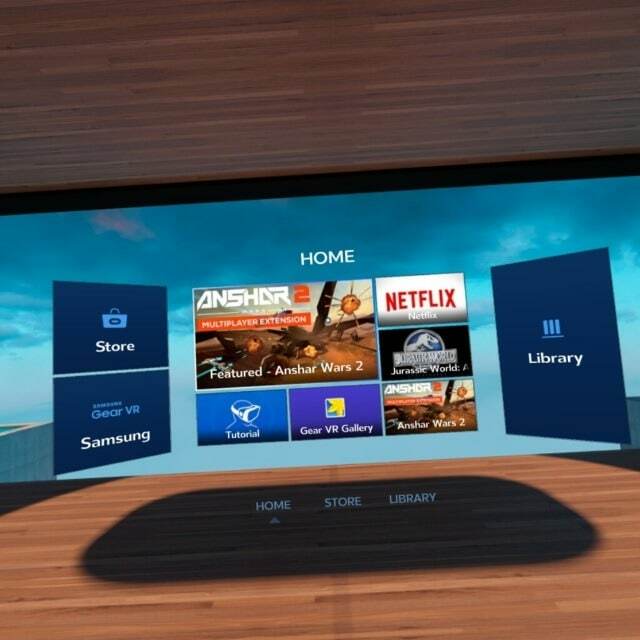 My first Samsung Gear VR experience was, naturally, with dinosaurs. 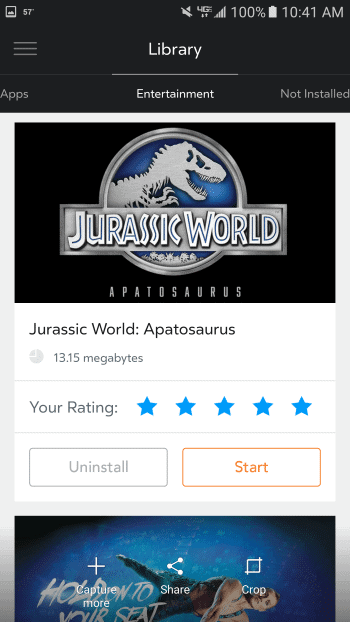 I downloaded Jurassic World: Apatosaurus. This is a short experience that puts you face to face with a sleepy Apatosaurus that slowly stirs and is wondering just what you’re doing standing before it. You’re fully immersed in a 3D and virtual world at this point seeing the iconic Jurassic Park jeep to your left, a dinosaur right in front of you, and being lost in the wilderness of the park. Eventually, the dinosaur gets right in your face before backing onto its hind legs to eat from trees above you. I’ll be honest. The VR experience totally startled me. I went into it thinking, oh, no, I know this isn’t real. Both when the dinosaur got right in front of my face and then crashed down in front of me after eating, I backed up and jumped in my seat. I wasn’t expecting the experience to “get me” right away. I tried several other VR experiences that first day, including watching Netflix from the moon, traveling through the human circulatory system and playing a dodging game that I was horribly bad at. Unfortunately, I had to take many breaks the first day I started using the Gear VR. I got mini-headaches during prolonged use and both Netflix and games made my phone so hot it felt like it was burning in the palm of my hand within 15 to 20 minutes of use. Overall, the VR experience is amazing so far, even with a limited number of apps to start with. My free Gear VR came with a six-pack bundle of games, most of which are immersive and that I’m still bad at. I’ve downloaded and tested out a variety of location apps, including visits to the street I grew up on, Mecca, and a trip to the state of Cirque du Soleil’s Zarkana. I look forward to tackling Minecraft which was recently released and the more experiences coming to Gear VR from app developers and VR enthusiasts. Also, in the weeks since using Gear VR, I’m happy to report my headaches have gone away as my eyes adjust to the experience.